What can the Chinese government do to keep the wealth gap from widening? China could rebalance its economy away from wasteful investment, which mainly benefits elites in construction and related industries, toward consumption and services, which provides more opportunities for middle-class workers. China could also invest more in education so that everyday citizens could participate in more high-value-added labor as a way to earn a larger slice of national income. China could also enforce its laws against corruption, bribery and cronyism more rigorously and clamp down on tax avoidance and capital flight. What is driving China's growing wealth gap? Most of the income inequality in China can be explained by corruption and elitism. In the 1980s and 1990s, under the leadership of Deng Xiaoping, China reformed its system of state-owned enterprises (SOES). Some of these SOES were closed, some were privatized, and some remained SOES, but were designated as national champions in their respective industries and allowed to thrive free of normal competition. In each case, stock in the privatized companies or senior management roles in the new national champions was given to loyal Communist Party cadres and to so-called "princelings" who were the sons and daughters of leading officials or survivors of the Long March days of Mao Zedong in the 1930s. During the export and investment led boom that followed, these enterprises made enormous profits which went principally to the owners and senior managers and not to the workers. This boom has continued beyond the bounds of normal expansion through China's over-investment in infrastructure, much of which is wasted. In effect, China is misallocating national wealth in favor of the SOES and private companies favored by government, which enriches a few at the expense of the nation as a whole. How unequal has the current Chinese economic system become in comparison to capitalist systems in countries such as the United States? Income inequality is a global problem. It has always existed in traditional oligarchical systems such as those in South America. 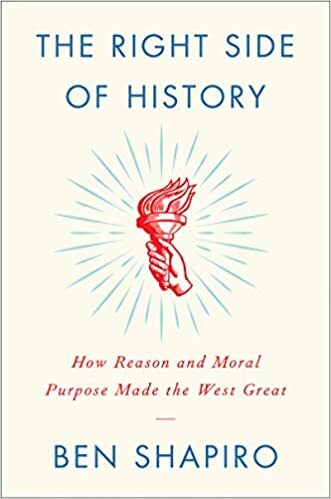 It was less prevalent in North America and Europe and former Commonwealth nations that had a strong rule of law and offered good economic opportunities to those people who did not necessarily start out from a privileged position. It was also not much of a problem in Communist nations such as Russia and China because there was relatively little wealth to begin with. Elites may have lived better but they were constrained by the relative poverty of their countries. Since the new age of globalization began in 1989, China and Russia have become much richer, which increases the opportunities for cronyism and theft by elites. The situation in the US is exacerbated by bank and auto bailouts, other forms of government favoritism, and an opaque and complex tax system. The causes of income inequality in China, Russia and the US are different but the result is the same. China has greater income inequality than the US, but both countries are approaching the point where income inequality is so extreme that it threatens to cause social disorder. The ruling Communist Party aims to preserve social stability to avoid any challenge to its grasp on power. How big of a concern is this widening wealth gap to China's Communist Party? Income inequality should be deeply disturbing to the Communist Party leadership because it has historically been a source of social instability in China. The demonstrations and massacre in Tiananmen Square in 1989 were in part attributable to increasing inflation, which is a form of income inequality because it is most damaging to those with fewer investment options to hedge against inflation. However, the Chinese elites are themselves the main beneficiaries of income inequality in the short run. Capital flight from China is accelerating, which is a sign that at least some elites have adopted a "take the money and run" attitude and no longer care about continued Communist Party dominance provided they can extract enormous wealth from the country before the social disorder become more pronounced. The widening wealth gap is troubling, but it is not clear whether there is much political will to stop it. Listening to mainstream market commentary on television and reading the financial press leaves one with the impression that the economic recovery is gaining strength and that stock market indices, at or near all-time highs, will go higher still. The litany of market happy talk is impressive. The unemployment rate has dropped to 6.1%, down about 4 percentage points from its peak, and is expected to go lower in the months ahead. The economy created about 230,000 jobs per month in the first half of 2014, which brings the increase in jobs to nine million since the economic recovery began in mid-2009. Interest rates remain low, which supports high asset valuations in stocks and housing. Inflation is tame and expectations about future inflation are well anchored. To hear the stock market bulls tell the story, all is right with the world. But all is not right. In fact, the fundamentals of the U.S. economy are in awful condition and are getting worse. Almost everything about the happy talk story is superficial, and falls apart under scrutiny. There is an alternative narrative of bad news that is seldom discussed on mainstream business channels but is well known to analysts. When these adverse trends are taken into account one conclusion in inescapable. The stock market and economic fundamentals are on a collision course. One or the other will have to swerve. Either the economy will have to improve rapidly and unexpectedly and reverse its fundamental weakness, or inflated stock values are heading for a precipitous fall. The evidence suggests that the latter is more likely. The first weak link in the happy talk chain is the nature of job creation. For example, it was reported than 288,000 jobs were created in June. But full-time jobs declined by 523,000 while part time jobs increased by about 800,000. The widely reported increase in net jobs masked a disastrous loss of full-time jobs offset by a huge increase in part-time jobs. The part-time jobs offer fewer hours, lower pay and few benefits. They may be better than no job at all, but they are not the kind of jobs that will support discretionary consumer spending on which the economy relies for growth. This trend in part-time jobs is not new. There are 7.5 million people working part-time on an involuntary basis compared to about 4.4 million doing so in 2007. This rise in part-time jobs is expected to continue because it is driven in part by Obamacare, which does not require coverage for part-time workers. Employers are aware of this and simply cut full-time jobs and replace them with part-timers to reduce insurance costs. Nor is there any comfort in the declining unemployment rate. Much of the decline is attributable not to job creation but rather to the decline in the number of people looking for work. Once people stop looking for a job, they are no longer technically “unemployed” and the unemployment rate drops even though no job has been found. As columnist Mort Zuckerman said, “You might as well say that the unemployment rate would be zero if everyone stopped looking for work.” Only 62.8% of Americans participate in the work force today — the lowest level since 1978. The news gets worse. Not only is labor force participation low, and full-time employment collapsing, but the productivity of those working is now in decline. This decline in productivity is another drag on growth. The reason for it is even more disturbing. Productivity is declining because capital expenditure has slowed. Businesses are keeping up with demand by employing part-time workers instead of investing in the plant and equipment needed to make full-time workers more productive. Not surprisingly, this triple-whammy of declining full-time jobs, declining productivity and slowing capital investment means that real wages are stagnant. If workers can’t make more, they can’t spend more without borrowing. Borrowing is more difficult because home equity has not recovered from the 2007 housing crash and lending standards are the most stringent in years. Companies won’t invest in equipment if consumers can’t spend. The result is a death spiral of lower consumption, lower investment, declining productivity, stagnant wages, and underemployment all feeding on each other and making the overall economy weaker. This is the real reason for the shocking 2.9 percent decline in first quarter GDP. It was not the result of “cold weather,” which by the way happens every winter. There are other signs of ill health in labor markets. In a dynamic labor market, net job gains reflect large numbers of new jobs and lost jobs as employees confidently quit their jobs in the expectation of finding new ones. But evidence reported by Goldman Sachs and James Pethokoukis of the American Enterprise Institute shows that job turnover has declined sharply as employees are extremely reluctant to quit their jobs in an uncertain environment. This tends to lock-out the unemployed who lose job entry opportunities and to weaken wage growth as employees lose leverage to demand raises. Labor force participation is unlikely to rise significantly partly because of generous benefits that provide an adequate lifestyle for those out of the labor force. The U.S. has over 50 million on food stamps, 11 million on disability, and millions more on extended unemployment benefits. Prospective loss of these benefits creates a high hurdle to motivate a return to the workforce. The news from abroad is no better. China is slowing precipitously and may be on the brink of a credit collapse. European growth is near zero and even the mighty German economy, the locomotive of Europe, is slowing partly because of weaker demand from Ukraine, Russia and China. So, the conundrum is complete. Stock indices march to all-time highs while economic fundamentals fall apart. The two will be reconciled either with a spectacular turnaround in growth or a spectacular collapse in stock prices. The problem is that a turnaround in growth can only come from structural reform, not money printing. Structural reform is the job of the White House and Congress, not the Federal Reserve. Since the White House and Congress are barely speaking, no help should be expected from that direction. Therefore a stock market collapse is almost inevitable and is probably coming soon. Jim Rickards appears on the very popular, Alex Jones, Infowars radio show. He tells Alex to watch what they do. Not what they say. 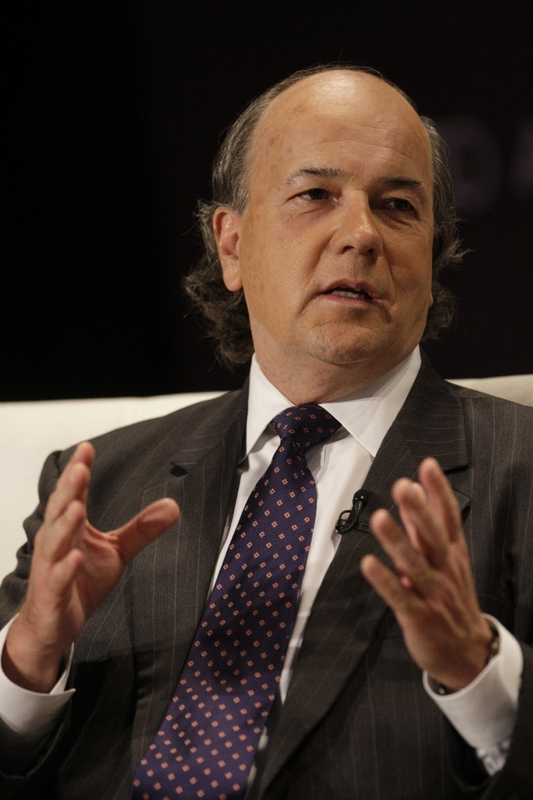 Jim Rickards, Senior Managing Director at Tangent Capital, discusses whether Argentina's second default on its sovereign debt will have a contagion effect on global financial markets. Jim Rickards talks with Paul Buitink about the crisis and his presentation for 20 September in Rotterdam. 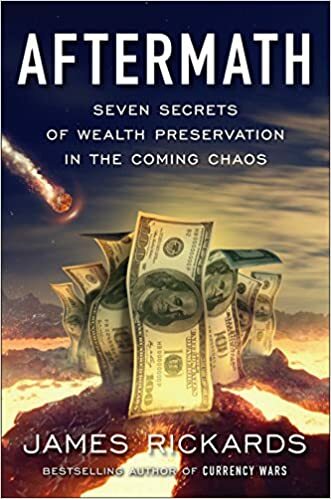 "The world is witnessing a climactic battle between deflation and inflation," Jim Rickards writes in his excellent new book The Death of Money. "It is just a matter of time" before this battle comes to a head. At some point, the U.S. economy will experience "an earthquake in the form of either a deeper depression [from deflation] or higher inflation, as one force rapidly and unexpected overwhelms the other." For the most part, the government creates this one... by "printing" trillions of dollars. For starters, we "have no living memory of it." The last episode of persistent deflation was in the Great Depression. Rickards calls deflation "the Federal Reserve's worst nightmare." For one, deflation "increases the value of government debt, making it harder to repay." Because of fear of deflation, the Fed can't stop its money printing. 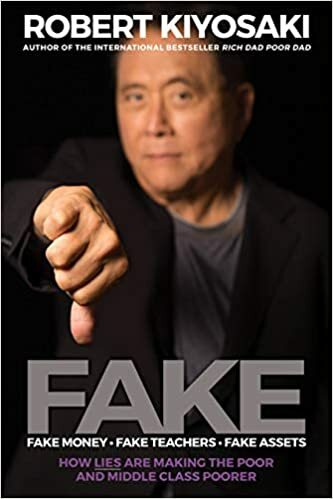 If it did stop, "deflation would quickly dominate the economy, with disastrous consequences for the national debt, government revenue, and the banking system." Which will win – inflation or deflation? Rickards explains that "the most likely path of Federal Reserve policy in the years ahead is the continuation of massive money printing to fend off deflation." The Fed assumes it can later deal with inflation that it might create. I agree with him. Governments have proven for centuries that – while they might be pretty bad at most things – one thing they're pretty good at is creating inflation through printing money. The easy conclusion is that inflation will win... but many times, the easy conclusion isn't necessarily the right one. In his book, Rickards builds a strong case for how deflation could win as well. Whether inflation or deflation wins this battle, Rickards makes a strong case for a higher gold price. The global debt markets have mushroomed to an estimated $100 trillion dollars! According to the latest statistics.